As you may have read I enjoy building and customizing my cars. I have included a few fun archive pictures of my customizations and creations that I think you'll really enjoy. Click the links below & be sure to see "my favorite" at the bottom. WANT A SCREEN SAVER? See below. 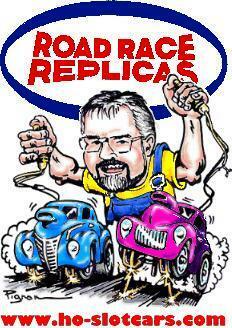 All photos are not to be copied or reproduced without written permission from Road Race Replicas.